The most magical night of the year is coming very soon! Get a head start on feeling that Christmas cheer right now! Your holly jolly adventures begin with Christmas Griddlers. Did you behave yourself this year? If so, prove to Santa that you're the best at correctly guessing how to fill in all the pictures! 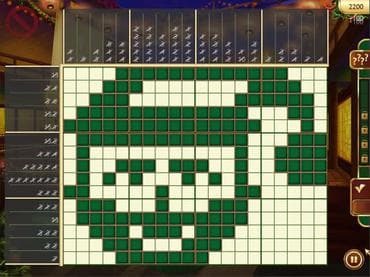 Fill your wall of fame with fun, unique trophies while you play through 120 levels in 6 stunning holiday-themed locations. Enjoy the festive Christmas music during the more than 8 hours of gameplay! Download free full version game and Christmas Griddlers will most certainly fill you with holiday cheer! Free Game features: - 120 Christmas levels; - 6 stunning holiday-themed locations; - festive Christmas music; - more than 8 hours of gameplay; - Save game progress anytime. If you have questions about Christmas Griddlers game, please contact us using this form.